Rev. Dr. Candace Shultis arrived in Washington, DC in 1973. “They asked Miss Ida, 'What do they teach you at THAT church?' 'Why,' she replied, 'they teach me the love of Jesus. '”Candace Shultis' pastorate is identified with the growth in ministry and diversity of the Metropolitan Community Church-DC (MCC-DC) for over a quarter century. Her personal ministry has focused on being “more comfortable with who you are, and allowing things to move ...” In the course of that ministry, the church itself has experienced a growing acceptance and role among local faith communities. Shultis arrived in the Washington DC area in 1973, in the course of her duties with the US Marine Corps. 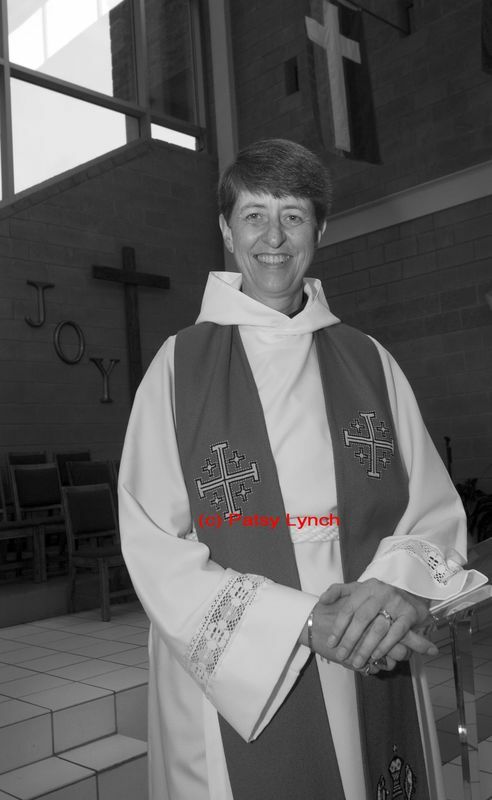 In 1976, she left the Marine Corps and enrolled at Wesley Theological Seminary, completing her studies and being ordained in 1980. Her sense of the incompatibility of her sexuality and affections with practices of the United Methodist Church led her to attend and then join MCC-DC in August 1980. She was soon asked to join the board and in 1983 was ordained in the Metropolitan Community Churches. In August of that year, she became assistant pastor, coming on full time during Pastor Larry Uhrig's 1985 sabbatical. During the twelve years that Shultis worked with Rev. Uhrig, the church congregation more than tripled in size. Those were challenging years of ministering in the darkest days of the AIDS epidemic, when as she remarks, “people were dying like crazy.” It was a time when few city churches would even hold funerals for those who had died of AIDS. Her ministry of care and love sustained her community, even as the increasing losses, including the death of Rev. Uhrig in December 1993, sometimes left her feeling tired and lonely. Despite the challenges, MCC-DC grew, increasing in diversity of all types. The congregation undertook an ambitious building campaign. She strongly endorsed the architect's vision of a glass enclosed sanctuary. Shultis recalls, “We wanted to be a visible people”. In January 1995, Shultis was elected pastor and continues in her ministry today.